Find a local HVAC trade school. HVAC technicians work on heating, cooling, and refrigeration systems in homes and buildings, and they make about $47,000 a year doing it. Money’s important, but it shouldn’t be the only determiner in choosing a career. So, here are five other reasons why choosing a career as an HVAC technician is a very good idea. If you like taking things apart and putting them back together, and you enjoy figuring out how things work, then becoming an HVAC technician is an excellent choice. You will be constantly hands-on with equipment and tools, and you’ll get to be out of a cubicle and in the field daily doing something different all the time. You’ll have a few different options you can specialize in. Heating systems, cooling systems, and refrigeration are the main areas HVAC techs work with, but you can decide to focus on installation or maintenance and repair. Choosing a specialty isn’t a necessity, though. HVAC technicians can offer a broad range of services, widening your job prospect horizon. One major bonus of being an HVAC tech is that there isn’t a slow season. Summers call for air conditioner repairs and installs, and winters need heating. Whichever season it is, there will be constant work. You’re going to have an economy-proof career. No matter what is going on in the world, people will still pay to have their heating, cooling, and refrigeration systems running right. You don’t need a four-year degree to go into HVAC. A certification or associate degree program is offered at community colleges and trade schools. 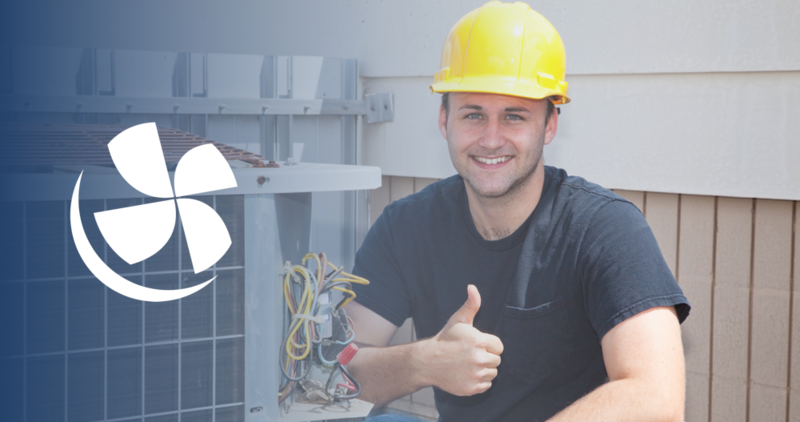 In as little as six months to two years, you are ready to hit the ground running toward a career as an HVAC technician. For extra training, you may want to think about an apprenticeship program. This allows you to get paid while fine tuning your professional HVAC skills. It’s longer than the school route, lasting three to five years, but you’ll have made money and potentially secured a job with who you work under. HVAC technology is in a constant state of evolution. Knowledgeable HVAC technicians who are proficient with old equipment as well as new methodologies will always be needed. Plus, with most equipment having an expected lifespan of 10-15 years, maintenance, repairs, and new installations will be happening regularly. The Bureau of Labor Statistics website mentions the job outlook for HVAC professionals is expected to grow 15 percent through 2026. This is faster than the average of other professions, and it creates excellent job opportunities for HVAC technicians. So, there you have it: HVAC techs have a great work life. It won’t feel stale; you’re guaranteed work in any season, and it’s a fast career to get into. Find a school offering HVAC certification near you to get started.